1. Cut the peach into quarters, and brush the cut sides with 1 t of the Essential Balsamic Dressing. 2. Place on a pre-heated grill and cook for 2 minutes per side. 3. Toss the greens with a small amount of the Essential Balsamic Dressing. 4. 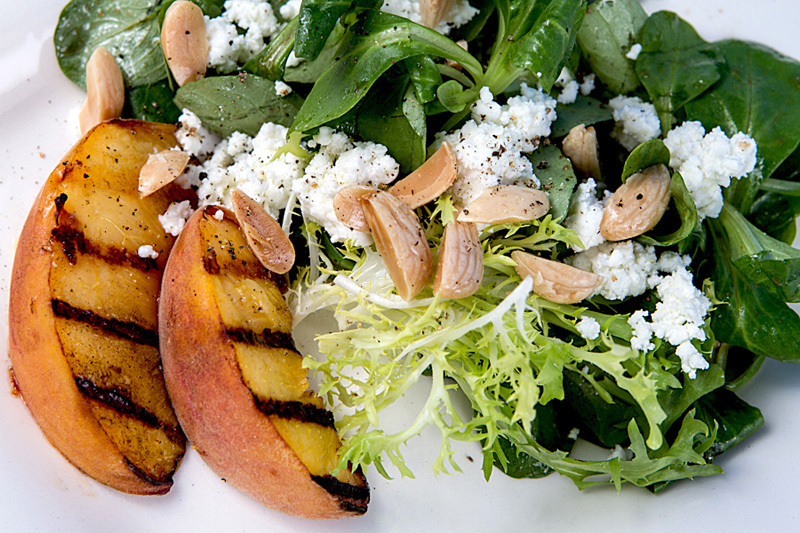 Arrange the greens, grilled peach, cheese and almonds on salad plates on top with fresh ground black pepper.